I hear you engineers out there, yelling about how automatics are faster and better at shifting than us mortals. But, as we’ve explained time and time again, they don’t make driving much fun. Thankfully, BMW says that it will keep putting manuals in its cars. As long as we buy them, of course. Y’all, it’s been a long week, filled with crappy news. 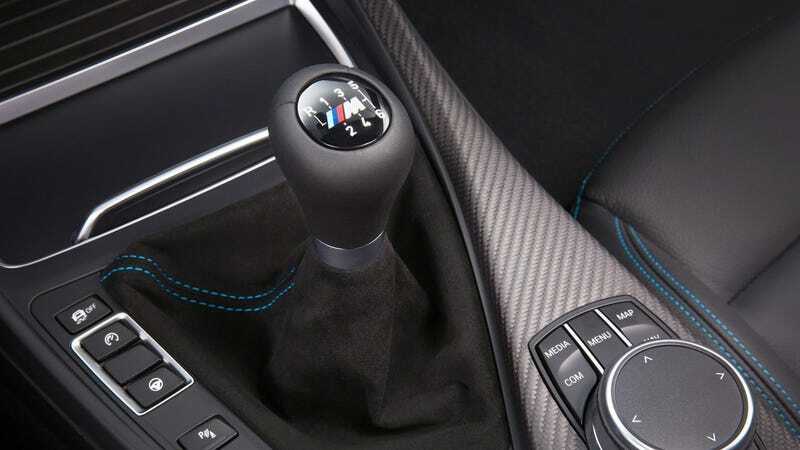 But as a nice Friday afternoon sendoff, there’s this Car and Driver story, which reports that American BMW buyers are buying manuals in high enough numbers that BMW will continue putting them in specific models and their successors, like the M2, M3 and M4. Of course, once things start going autonomous, that will change. We can make as much noise on here as we want, but the truth of the matter is money. If you buy enough manuals, they won’t go away. Keep buying the manuals. Don’t stop buying the manuals.